The worship of God is central to the life of God’s people in all ages. Israel’s worship (under the old covenant) centered on the Tabernacle-Temple daily sacrifices with weekly and annual sacred assemblies (Lev. 23). God’s intent for this form of worship was to point his people to Jesus, their Messiah (Gal. 3:24-25). Following Jesus’ death, resurrection and ascension, and the outpouring of the Holy Spirit, the worship of the newly formed church (under the new covenant) focused directly on Jesus. Over time, this worship took on the pattern shown in the diagram below, with church services focused on proclaiming the gospel through Word (Scripture reading, preaching and singing), sacrament (Lord’s Supper and baptism), prayer and the giving of offerings. 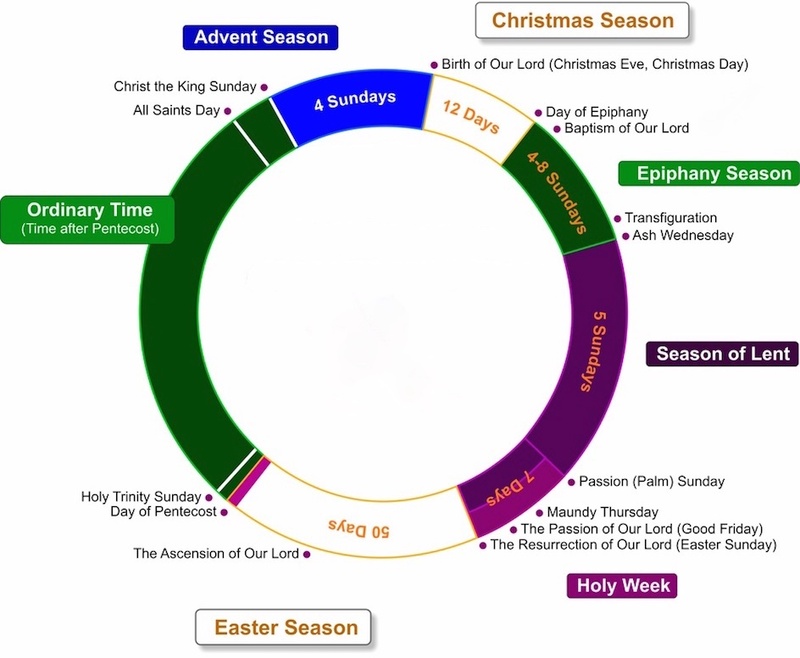 Along with many others in the body of Christ, worship in Grace Communion International follows the Christ-centered, gospel-shaped pattern of the Western Christian calendar shown in the diagram above and detailed in the Revised Common Lectionary (RCL). This pattern has the weekly and annual components described below. GCI’s weekly worship services focus on celebrating the gospel of Jesus Christ. These services are typically held on Sunday (the day our risen Lord was first encountered). For a suggested order of services (liturgy) for the weekly service, click here. Worship in GCI follows the historic and orthodox pattern of annual worship set forth in the RCL and shown in the diagram above. Worship during the first half of the year focuses on the Story of Jesus and during the second half of the year on the Story of the People of God—a story that emphasizes discipleship. To assist congregations in following its standard worship pattern and content, GCI publishes RCL-synced sermons in GCI Equipper (click here to access) and the following liturgies for worship services and church ceremonies (click on the links below to download each one as a Word file). GCI congregations may adapt the denomination’s standard liturgies to accommodate local customs and needs (though the basic formats and content should be followed). Congregations also may adapt GCI’s standard pattern of worship, though all are to provide services celebrating Jesus’ birth during Christmas Season and his resurrection during Easter Season. It is recommended that each of the other key aspects of the gospel, listed at left, be celebrated in a weekly worship service at the designated time of year. GCI congregations may hold their primary weekly worship service on any day of the week, though Sunday is the norm. 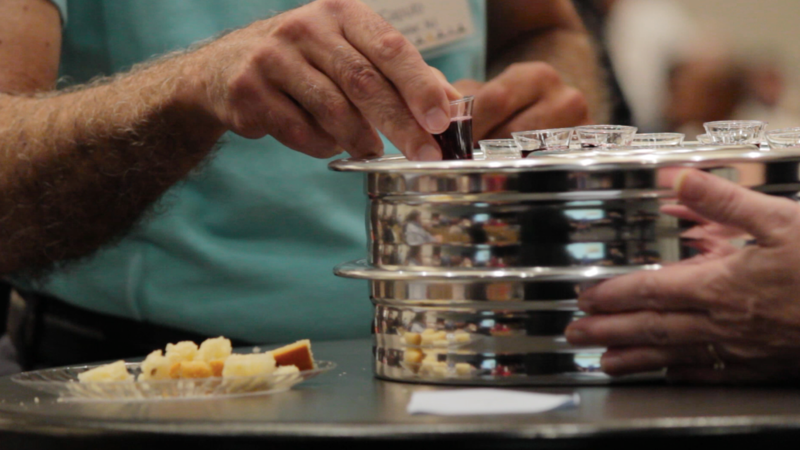 Congregations may determine how often to offer the Lord’s Supper, though it should be offered no less than quarterly, and at least once during Holy Week. Offering the Lord’s Supper every week is recommended. In making decisions concerning adaptations to GCI’s standard worship pattern and liturgies, congregational leaders should seek divine guidance, understanding that worship is the divinely created response to the glory of the triune God revealed in Jesus Christ.